As early as 3000 B.C. jade was known in China as 'yu', the 'royal gem'. In the long history of Chinese empire, jade has always had a very special significance, comparable with that of gold and diamonds in the West. Jade was used not only for the finest objects and cult figures, but also in grave furnishings for high-ranking members of the imperial family. The most valuable Jade you can find is called ‘Imperial Jade’, Fei Cui, known for its vibrant emerald green hue and high level of translucency. The vibrant colour shows beautiful depth, and is said to ‘glow’. This rare form of Jadeite fetches the highest prices. The value of Jade is determined by its colour, texture, clarity and translucency. 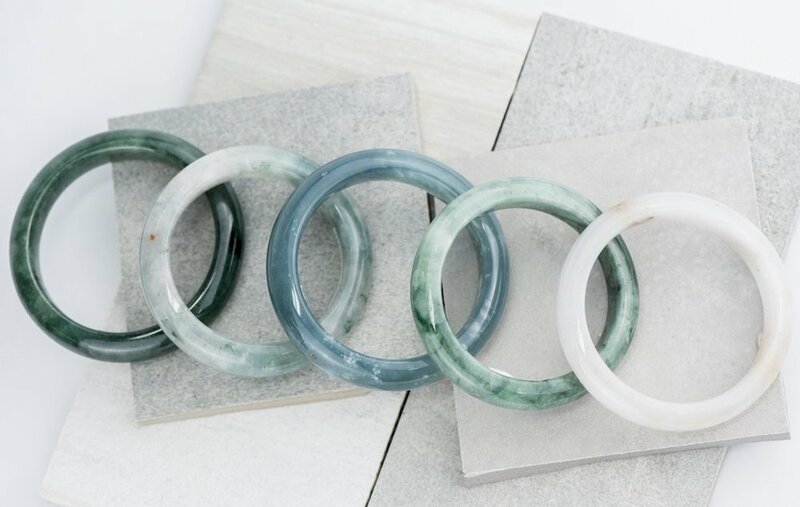 Whilst Jade comes in many nuances of green created by differing levels of minerals found in the stone, Jade also comes in many other natural colours, like white, grey, black, yellow, orange, red and lavender. Lavender Jade is one of the rarest forms of Jade, and the mineral manganese brings about its purplish tinge. It is said that Lavender Jade has a gentle energy that can soothe, balance the mind, and bring joy, inner peace and harmony. 4. JADE – MORE VALUABLE THAN DIAMONDS? Jade can be found in many parts of the world, but the finest Jade has only ever been found in Myanmar, or Burma. Over the years, Jadeite has become a favoured investment choice, as they have sold for more than 10 times their estimated price in auctions, and even sold above the price of diamonds. In 2014, a necklace of 27 Jade beads sold for a record breaking US27.44 million. 5. WEARING YOUR JADE MORE WILL CHANGE ITS COLOUR – FACT OR MYTH? There are many who believe that the more you wear Jade close to the body, it will either turn a richer colour or its colour will start to fade, due to good energy or negative vibrations. However, this is truly only just a myth! The intensity of the colour of Jade will only change due to dirt or grease that can sometimes get trapped on the surface, or if the Jade piece has undergone colour treatment, gradually fading to its original state as time passes. Here at Choo Yilin, we pride ourselves in bringing you quality Type A Jadeite, personally sourced from Burma.